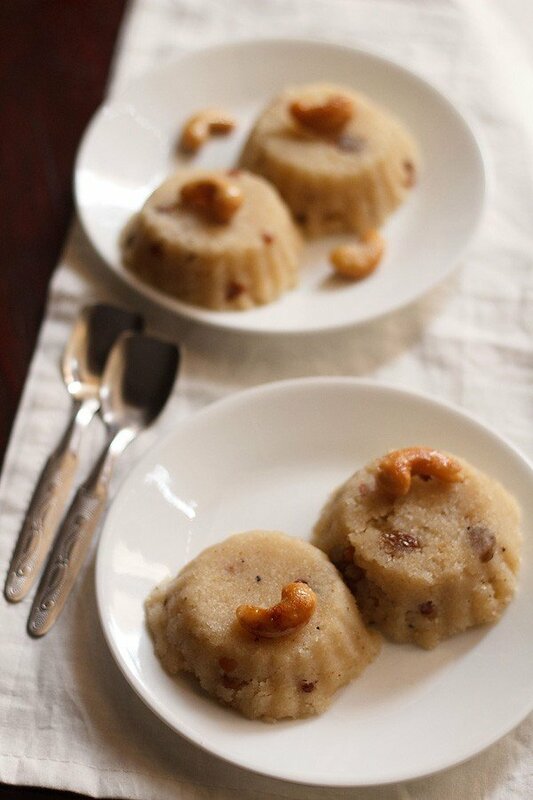 sooji ka halwa is a classic indian semolina pudding made with ghee and dry fruits. 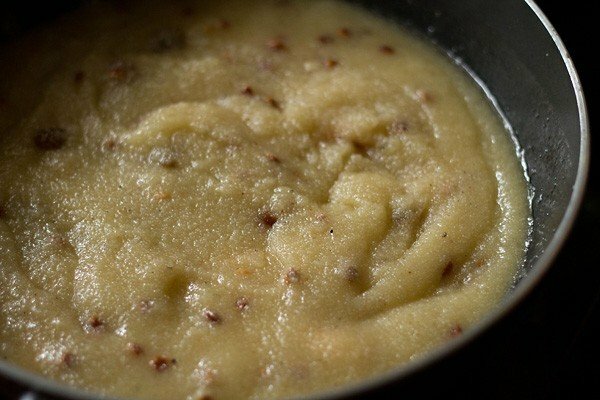 sooji halwa recipe with step by step photos – sooji halwa is a quick, easy and delicious halwa which is often made in most indian homes. the same dish is known as rava sheera in western india and rava kesari in south india. the method of preparation is more or less similar, with the the other ingredients being changed here and there. 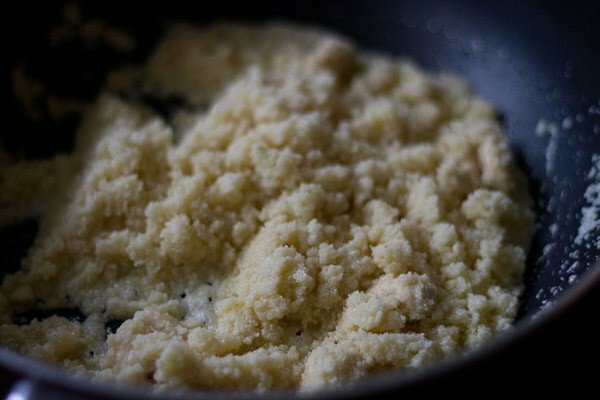 though rava or semolina remains the key ingredient. in some variations milk is added instead of water. for flavoring usually cardamom powder is added. 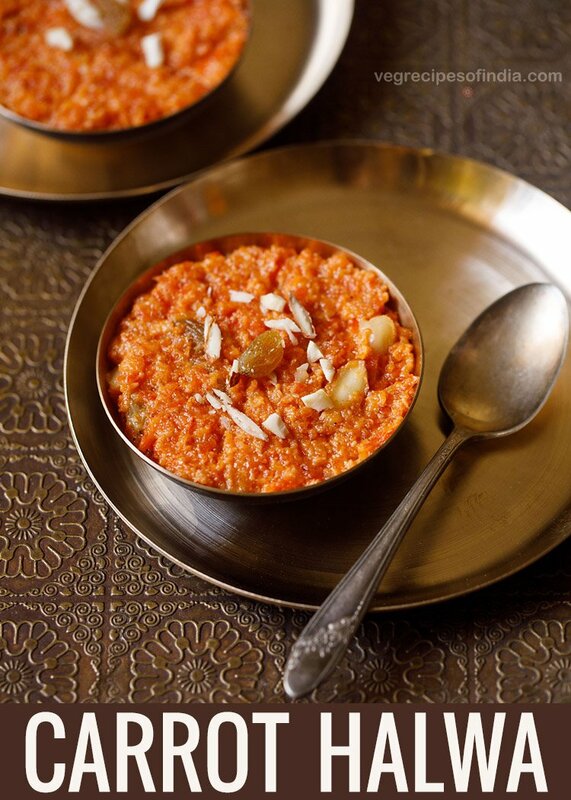 saffron threads or kesar can also be added like this saffron suji halwa recipe. 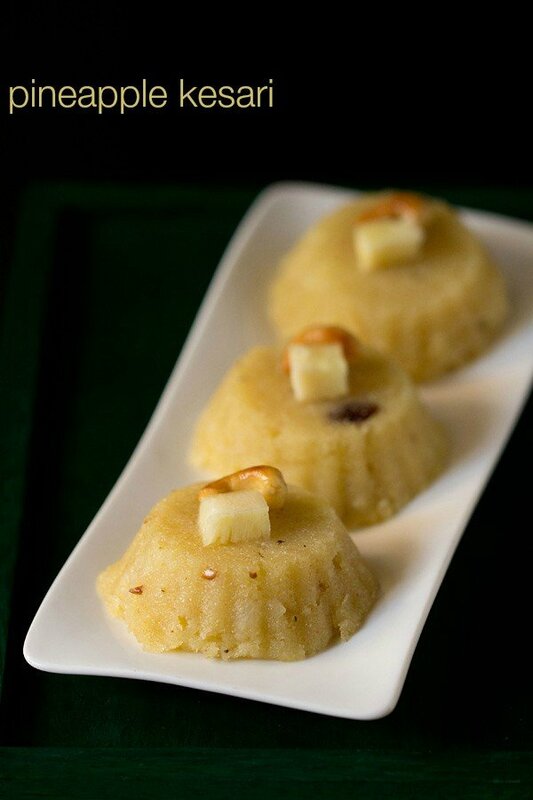 for more halwa varieties, you can check this collection of 28 halwa recipes. 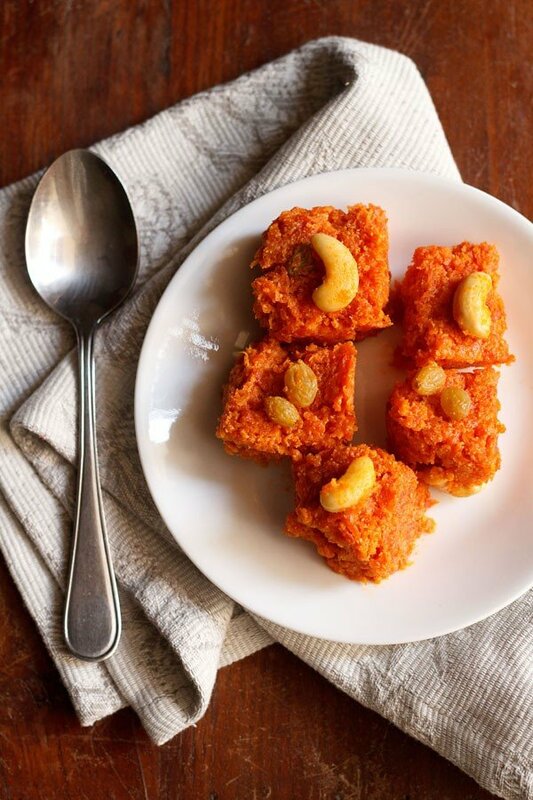 the rava kesari that is popular in south india, usually has orange synthetic color added. but you can make the same, with natural coloring agents like saffron threads or powder. 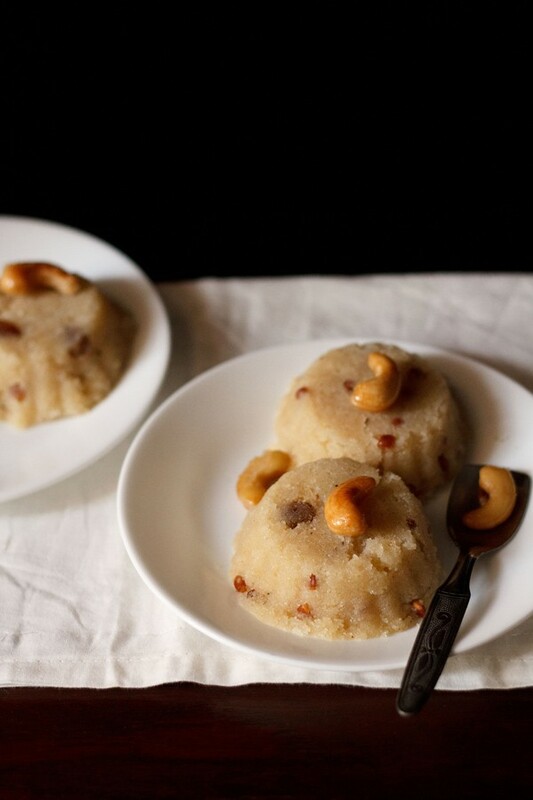 sooji ka halwa is often made for an auspicious occasion or a pooja. it could also be a festive occasion like diwali, ganesh chaturthi or a religious ceremony conducted in your home or you just want to have something sweet. since this is a easy and quick halwa recipe, so you don’t need any excuse or occasion to make it. if you are making sooji halwa for religious occasions then add a pinch of edible camphor in it. 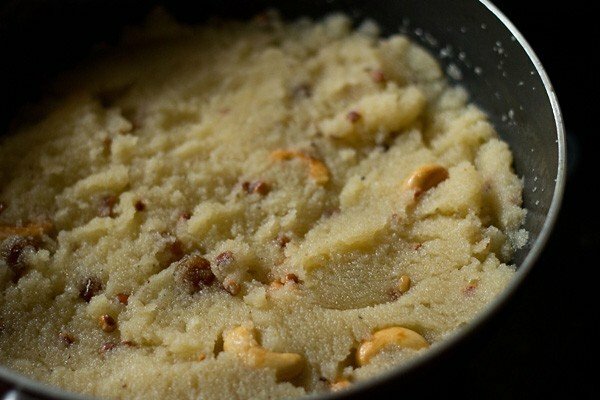 during 8th or 9th day of navratri festival, this sooji halwa is made along with dry kala chana and pooris for kanjak pooja. i often make sooji halwa as a bhog/naivedyam to be offered to the deities. 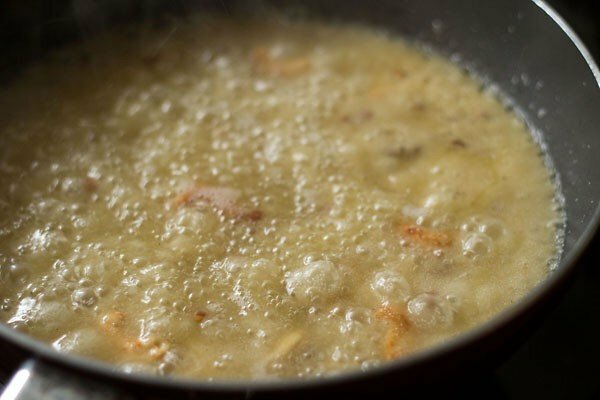 this recipe has a good amount of ghee. reduce the ghee, if you prefer. i have also added edible camphor in this one. skip it if you don’t have. i usually add a bit less amount of sugar and ghee. for e.g if its 1 cup of sooji, then i add ½ or ¾th cup of sugar. so the one i make is less sweet or just sweet. 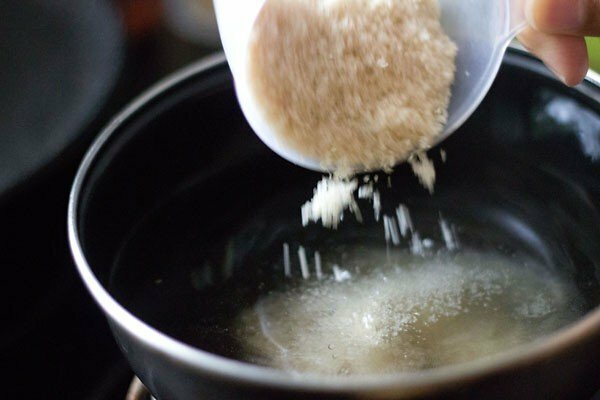 1 cup sugar will give a more sweet taste. 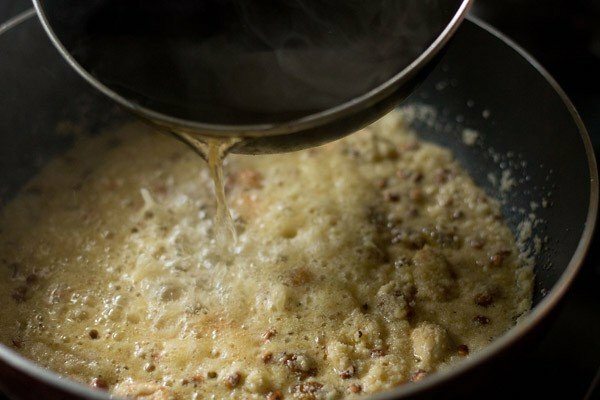 i also add 1/3rd or ½th cup ghee. the water can also be increased depending on the quality of the rava and if you want a pudding like consistency. you can have sooji halwa plain or have with pooris. it can also be served as a dessert. 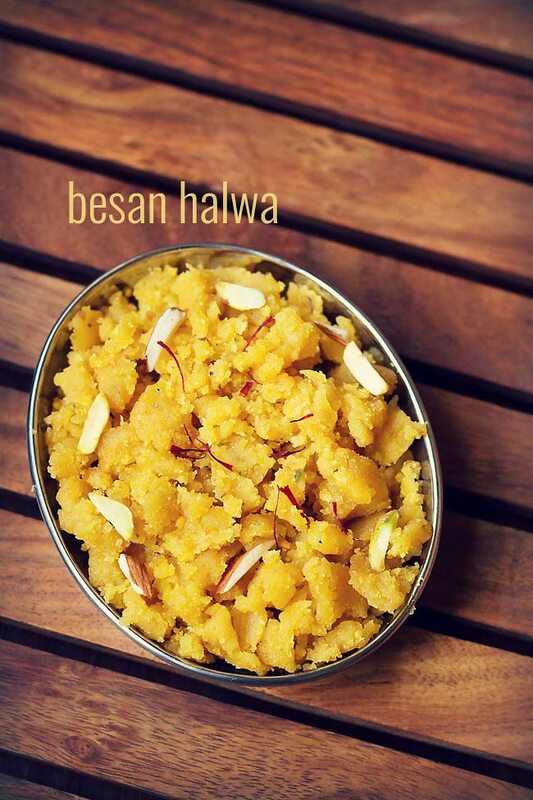 few more halwa recipes for you! crush the cardamoms to a fine powder in a mortar-pestle and keep aside. keep a kadai or pan on a low flame. add the ghee and when the ghee is heating up, do the following. take the sugar and water in another pan. 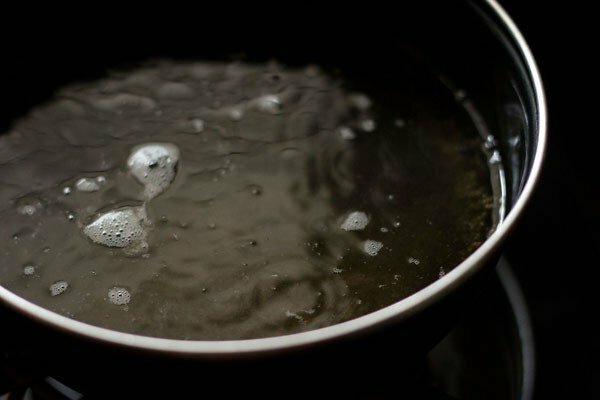 keep this pan on a medium to high flame and let the sugar solution come to a boil. 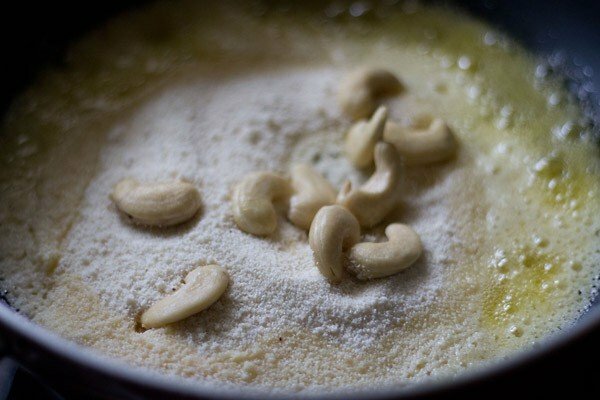 once the ghee becomes hot, add the semolina & cashews and stir. keep on stirring the sooji (semolina) so that it does not stick to the pan and is roasted evenly. in the meanwhile keep your attention also on the sugar solution. keep on sauteing & stirring the semolina for 7-8 mins till the grains change their color and when the cashews also change to a light golden. then add the cardamom powder, raisins and edible camphor. stir and then add the bubbling hot sugar solution slowly. be quick enough to stir. the sooji will begin to absorb the water and swell. serve sooji halwa hot or warm or when cooled. for less sweet taste in rava sheera, add ¼ cup sugar. for a more sweet taste add 1/3 cup sugar. 1. heat ¼ to ⅓ cup ghee in a kadai or a thick bottomed pan. 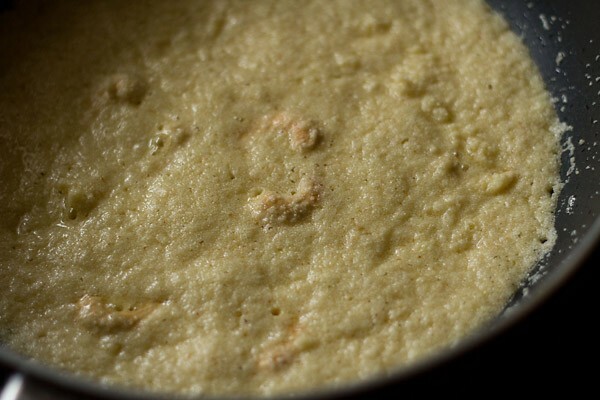 2. add ½ cup sooji (rava or semolina). i have used fine variety of sooji. also add 10-12 cashews/kaju, halved or whole. 3. start roasting the sooji and cashews. keep on stirring the sooji so that it does not stick to the pan and is roasted evenly. in the pic below, you can see the sooji changing color. 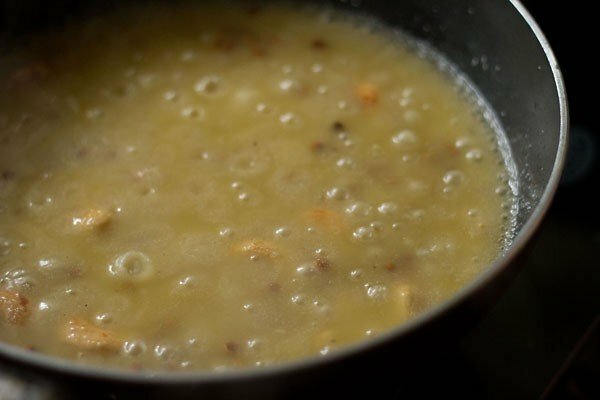 4. roast sooji till you can see the ghee getting separated and when you see the cashews getting browned. the color of the rava should not become brown. this takes approx 7-8 minutes on a low flame. this step is important because if sooji is not roasted well then you will not get perfect texture in the halwa. there will be slight raw taste in the sooji halwa. 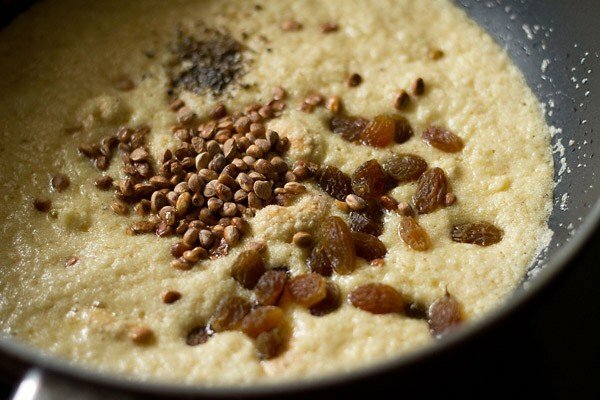 5. add 1 tsp chironji (optional), 2 tbsp raisins (kishmish), a pinch of edible camphor (optional) and cardamom powder (4 to 5 cardamoms, powdered in a mortar-pestle, husks discarded). you can also add sliced almonds or pistachios. 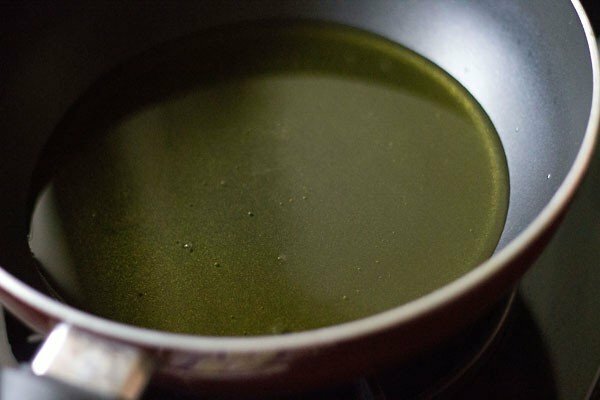 6. when you keep the sooji for roasting in the ghee, at the same time, take 1 to 1.25 cups water and (¼ to ⅓ cup) sugar in another pan. 7. stir so that the sugar dissolves. 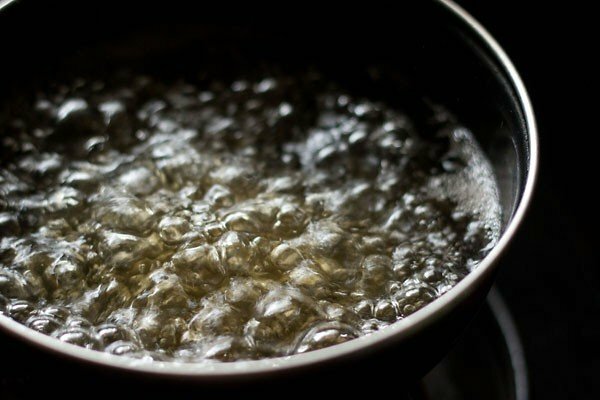 8. bring the water+sugar solution to a boil. 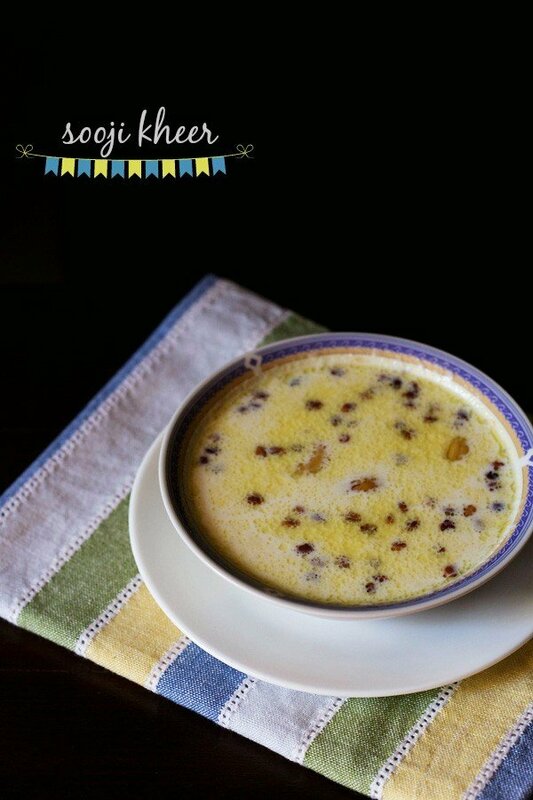 9. once you stir the raisins, cardamom powder and chironji, then pour the boiling sugar solution in the ghee-sooji mixture slowly, with continuous stirring. pour carefully, as the mixture sizzles and splutters. 10. the sooji will begin to absorb the water and swell. 11. the mixture will start thickening. keep on stirring often. 12. the sooji mixture has thickened but still soft and moist and the consistency like that of a pudding. 13. once all the water is absorbed, you will notice the change in the texture. the ghee also will be visible at the sides. the final texture below. if you want to make slices, then immediately pour the sooji halwa mixture in a greased pan or tray. spread evenly and when warm or cooled, cut into diamond shaped or square slices. 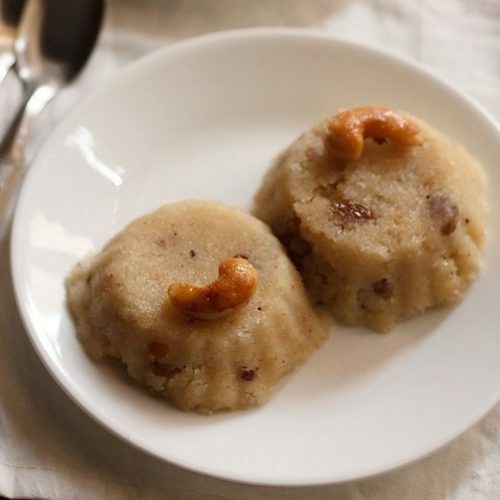 14. serve sooji ka halwa hot or warm or when cooled down. Vegrecipes is always my go to place when in doubt or looking for inspiration to make vegetarian dishes. Your array of recipes is outstanding. Made the sooji halwa, followed your recipe to the T, except substituted jaggery for sugar and it turned out yummy and healthy! thanks a lot sanjyot. glad to read your feedback on sooji halwa as well as your positive views on the recipes. 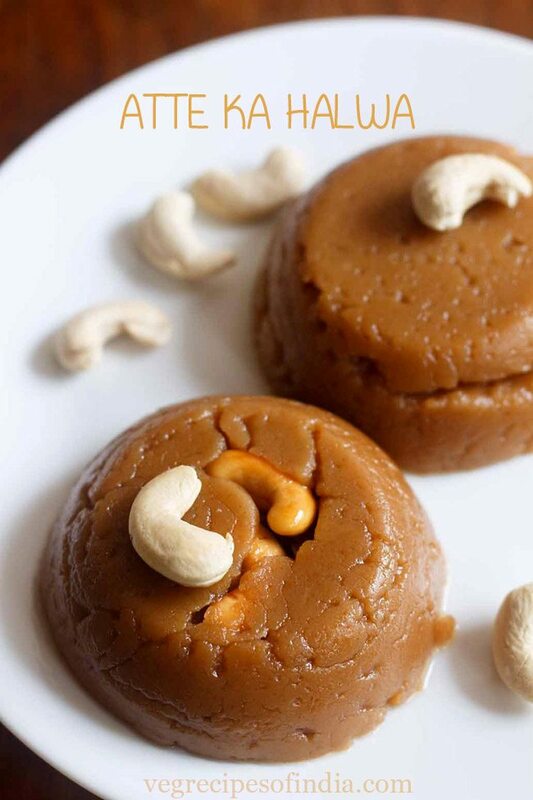 jaggery is definitely a healthier substitute. happy cooking.